← March & April Hayward Area Resorts: Call Before You Stop In! Here is that perfect location for your up-north cabin! 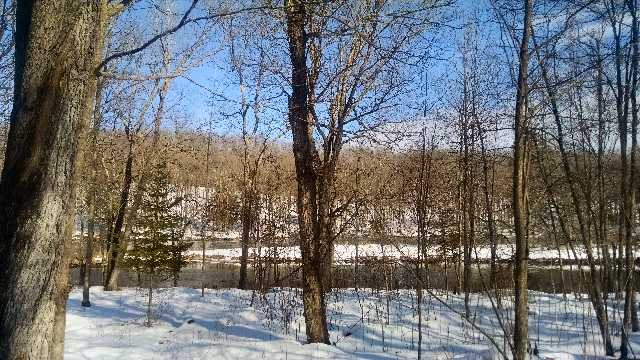 This building lot offers just over 2 acres of privacy and over 175 feet of frontage on the scenic Chippewa River. 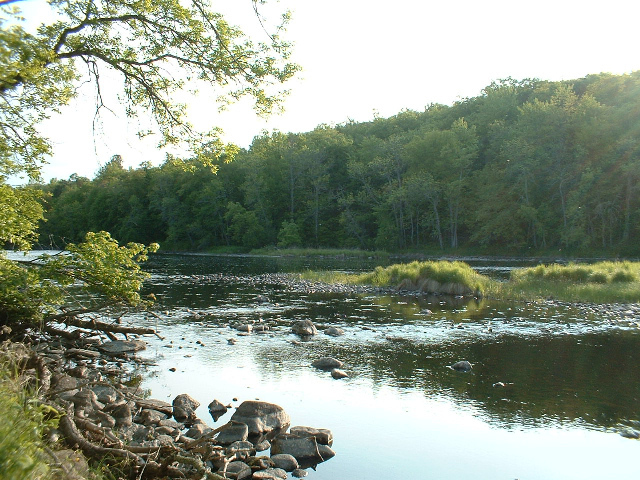 Located just below the Winter Dam, this is an area rich in natural wildlife; you will see many soaring eagles and other birds, and the land is heavy with deer trails along this spectacular river fishery. This parcel is located on the end of the cul-de-sac and is nicely wooded with mature hardwoods. 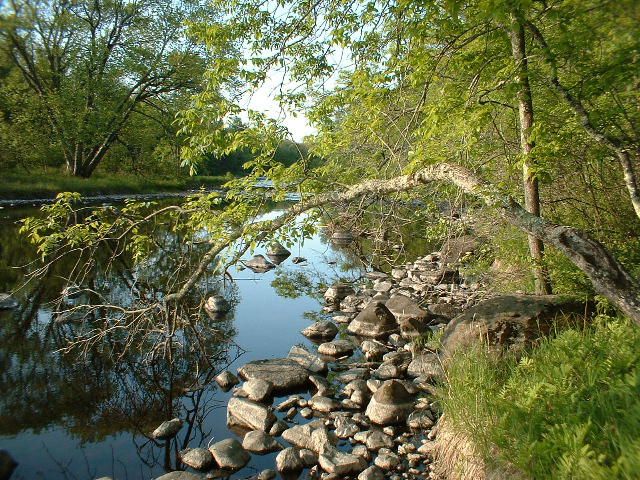 Most of the land is level and gently slopes to the river’s edge, offering you many beautiful views of the river. Underground electric is at the lot line, and telephone is nearby. Harmony Bend Covenants and Restrictions help maintain your investment’s value. Harmony Bend is off of Dam Road in Ojibwa. This area, rich in recreation, is close to Winter, and only about a half-hour drive to Hayward. The Wannigan greats you as you turn off of Hwy G onto Dam Rd, and at the other end of Dam Rd, close to Harmony Bend, you have a nice public boat launch to the Chippewa Flowage. This entry was posted in FEATURED PROPERTIES, Land For Sale Hayward, waterfront land, wooded land and tagged chippewa river lot for sale, dam road building lot, harmony bend land for sale, land for sale near chippewa flowage, property for sale by the Wannigan Ojibwa WI, river lot for sale hayward wi, river lot for sale winter wi, waterfront lots for sale hayward wi, wi, winter dam property for sale, wooded river lot for sale northern wi. Bookmark the permalink.